Guided fishing trips, scenic float trips, and shuttle service. Prices include flies, tippet, and even lunch! Our family-run operation is flexible to your schedule. Book your trip today (307) 272-FISH! Check out our affordable fishing packages. A family owned and operated fishing guide service. 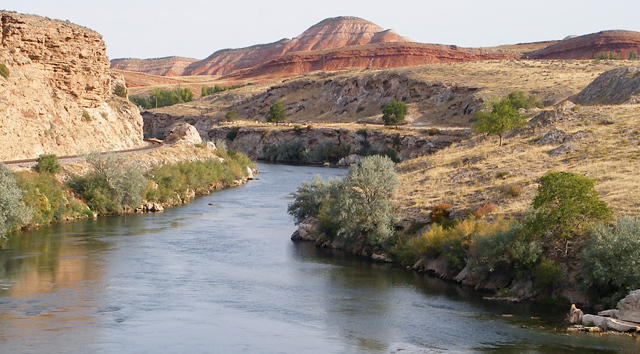 When people talk about the Bighorn River Fishing they're usually talking about the famous blue ribbon stretch of the Bighorn River below Yellowtail Reservoir near Fort Smith Montana. 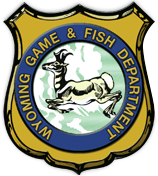 Most people don't realize there's another amazing tail water fishery some one hundred twenty miles upstream near the small town of Thermopolis, WY. It's on this stretch of the Bighorn River; Reggie Treese dedicates his time to providing anglers with a truly memorable Bighorn River guided fishing experience. Depending on the type of fishing trip you are most interested in, fishing dries, wets, streamers, hoppers, or nymphs, its helps to know the times certain flies hatch to help determine the best time of year to book a Bighorn River fly fishing trip. Some of the hatches on this amazing stretch of bighorn river include the midge hatch, blue wing Olive hatch, Green drake, Pale Morning Dunn, and Tri-co hatches. Bighorn River Outfitters offers guided fishing trips, scenic float trips, and if you prefer to float the Bighorn River on your own, we offer shuttle services as well. Bighorn River Fishing trips are half-day fishing trips and full day fishing trips, customized to fit your schedule. You will drift in McKinsey style drift boats that comfortably accommodate two anglers and a fishing guide. You will cast from the boat while drifting and while anchored in deep runs and pools some wading can be done in the shallower runs. Fly fishing is highly recommended, but spin fishing is also very effective. Bighorn River Outfitters provides tippet and flies that will make your fly fishing trip a success. While fishing this beautiful river, you will pursue rainbow trout, brown trout, and cutthroat trout. Make your Bighorn reservations early to insure the best fishing dates and accommodations as many dates fill long in advance! I have been fishing with Reggie for twenty years. He and his wife and children treat me more like family then a client. The fishing has always been nothing less than spectacular on the Bighorn River. I will keep going back as long as the good lord allows. Reggie knows the Bighorn River like the back of his hand. It amazes me the knowledge he has when it comes to what fly to use and how to use it. Top rate guide and first rate guy. Sarg G. Co. When it comes to knowing a river, Reggie's got it!! I always have a great time when fishing with him. Don't know that I've ever met a nicer guy. I've had the most amazing days of fishing in my life while fishing the Bighorn River with Reggie Treese. He goes way above and beyond to make sure you have a great fishing experience. Bighorn River Fishing Wyoming © 2018.